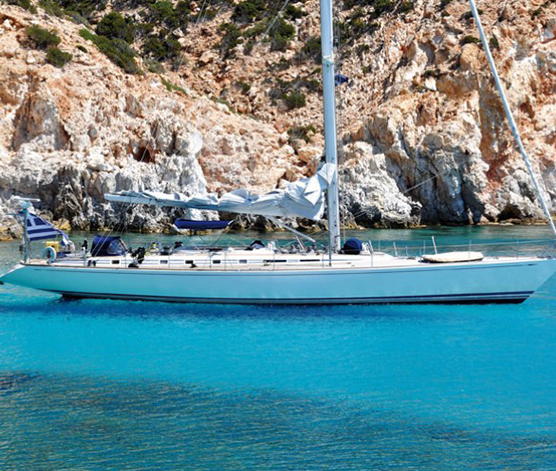 Characterised by design style, sailing performance and luxurious comfort, it is an impressive yacht capable of delivering a thrilling sailing experience like no other. On Callistó, speed, safety and manoeuvr-ability compete with technology, craftsmanship and versatility. 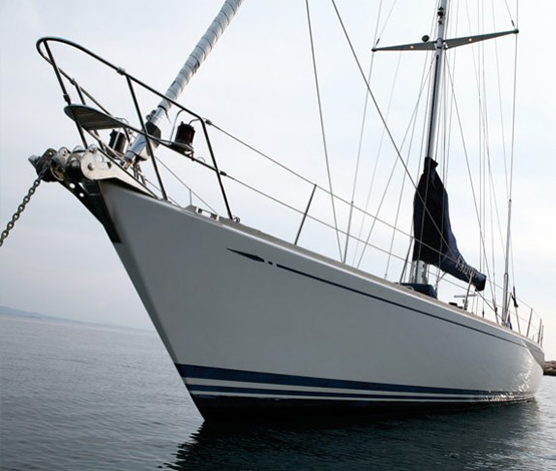 Her rig is the epitome of yachting technology. Her sail controls are fully computerized. Her hatches, fittings and genoa tracks are recessed flush into the teak deck. On the upper deck, the forward cockpit con- verts to a dining area for eight, complete with Hi/Fi audio. 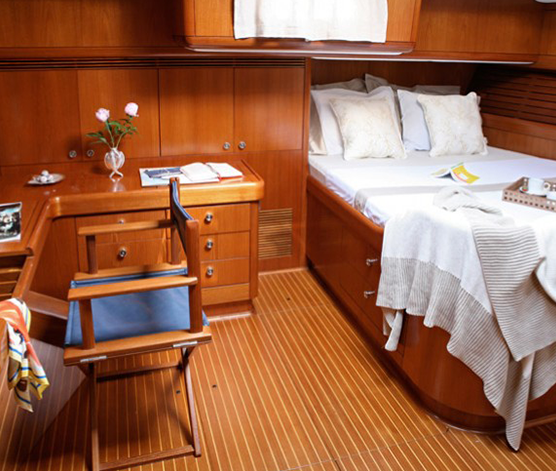 Once you climb down to the lower deck, you instantly recognise why Callistó is in a class of her own. Finished in polished teak throughout, her great style flirts with elegance and comfort. The full-beam salon is furnished in comfortable blue leather and has home cinema and audio/visual entertainment equipment, a library and communication facilities. 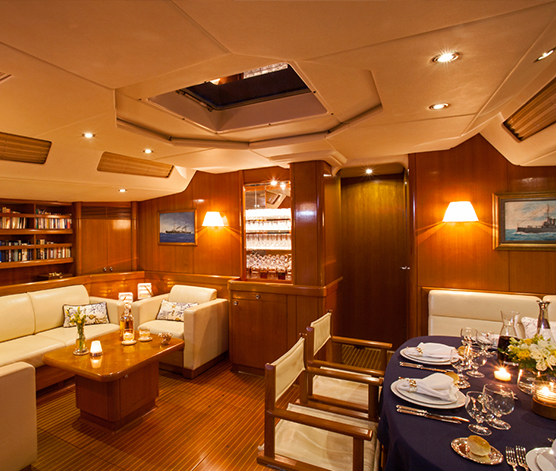 The spacious dining area for eight, is supported by a fully enclosed galley. 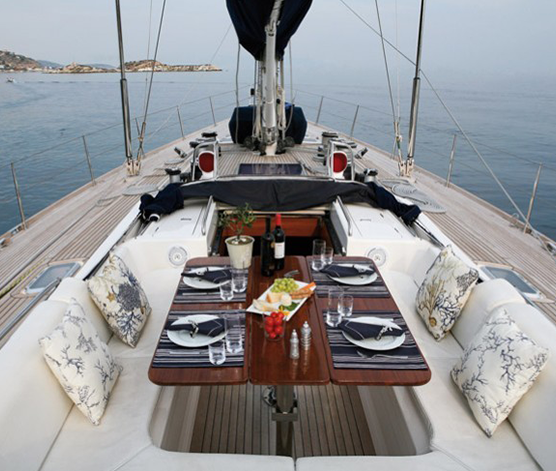 Callistó can accommodate six guests in one Master Cabin and two Cabins.